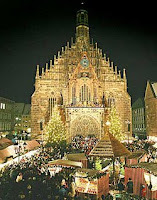 From November 26 to December 23, 2009, Basel will be opening its doors in preparation for Christmas. Basel Christmas market is located at Barfüsserplatz and is the Christmas City of Europe. No other European location can beat Basel for its Christmas market. Basel has a long tradition of celebrating Christmas the way they do. Many tourists gather at Basel every November to December to celebrate Christmas. Basel is by far the best looking city in Switzerland during this time of the year. Not only will you enjoy Basel’s fine Christmas decorations but the markets in Freiburg, Strasbourg and Colmar are just an hour’s worth of drive away so you can also visit them. So, what should you expect on your travel to Basel during this season? You won’t just find the most traditional and largest Christmas market in all of Switzerland but you’ll also love the illuminated streets and Christmas music. Some of the top of the line shops for Christmas decorations and giveaways are also found here. You would surely love listening to Christmas songs and melodies sung by choirs and singers on the several concerts and you will surely feel the Christmas season while you’re here. It is definitely incomparable. You will never find any place in the world that celebrates Christmas the same as in Basel. Christmas celebrated here is truly one of a kind.